February 1, 2019 - Submission deadline for annual conference resolutions (legislation) with financial implications. February 15, 2019 - Submission deadline for annual conference resolutions (legislation) without financial implications. April 1, 2019 - All materials for print and on-screen presentations deadline. April 5, 2019 - Deadline for legislation in specific response to General Conference 2019. April 15, 2019 - All voting materials online. Legislation regarding General Conference will be posted online by May 15, 2019. May 1, 2019 - All pre-produced on-screen presentations due. May 3, 2019 - Registration closes. Late registration re-opens May 29th. You should register online before arriving, but see registrar for your name tag. May 15, 2019 - Legislation regarding General Conference posted online. What does it take to be a bold and effective leader these days? When you experience bold and effective leadership, what do you notice? When you’re trying to be a bold and effective leader, what do you try to “stir up” from within? We think it takes wisdom...and heart... and courage to be the leaders God calls us to be as we strive to make disciples for Jesus Christ for the transformation of the world. Members of the new Michigan Annual Conference will gather for a time of fellowship, worship and legislating during the 2019 Annual Conference at the Grand Traverse Resort and Spa, Thursday, May 30 – Sunday, June 2, 2019. This will be the first time the Michigan Annual Conference will meet as a new organization. On January 1, 2019 we became the Michigan Conference of The United Methodist Church. Onsite lodging at Grand Traverse Resort is sold out. Late* registration begins onsite Wednesday, May 29 at 3 pm. *$50 is added to cost (not covered by equalization agencies or conference). Full cancellation and reimbursement up to May 3rd (please contact Jen Peters immediately). After May 3rd cancellation and reimbursement of rooms and meals may be granted in the case of death in the immediate family, unexpected hospitalization, or other circumstances as approved by the Conference Registrar. The registration fee may be held in these cases as funds have been used for materials and processing of registration. If there is a last minute cancellation that can be filled by another individual, please contact Jen Peters immediately to see if the costs can be transferred. Please email your annual conference registrar Jen Peters. 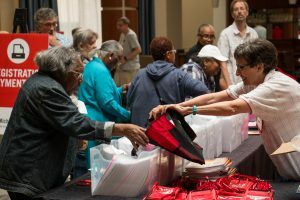 Set against the beauty of northern Michigan, Annual Conference attendees in 2019 will once again enjoy a relaxed setting to connect with United Methodists from across the state. 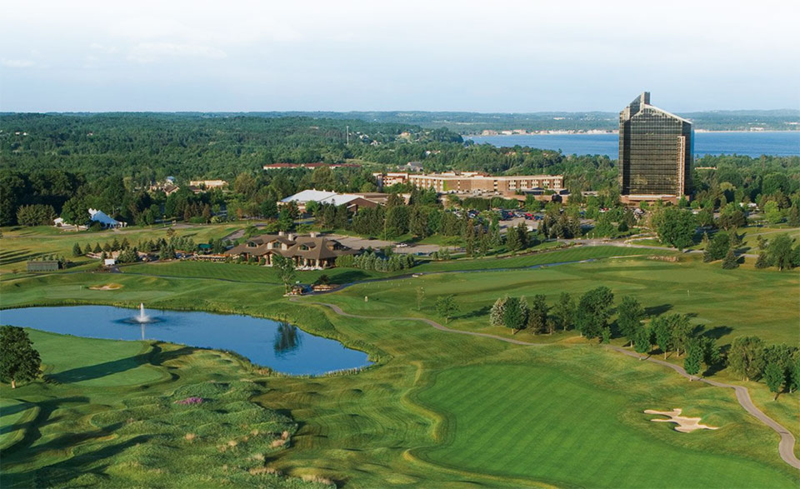 Choose from a variety of housing options and consider bringing your family to enjoy all the Grand Traverse Resort and Spa has to offer while you attend Annual Conference. Room registration opens March 1, 2019.